After a successful freshman season at Morristown-Beard High School in New Jersey, Mason Toye was curious. Could he build on that success and his AAU basketball experience to help take his game to the next level? Was he good enough to play with the best players in the country? Was there a viable path to a Division I scholarship? Would he eventually hear his name being called by NBA commissioner Adam Silver? Some of his questions would soon be answered when he secured a tryout with one of the best programs in the country in the Nike Elite Youth Basketball League (EYBL) for New Jersey’s Playaz Basketball Club. The Playaz boast an impressive alumni roster that includes Vince Carter, Victor Cruz and J.R. Smith. Another notable freshman vying for a spot on the roster with Toye was Trevon Duval, who is now a freshman at Duke. In a tryout process that usually takes place over several days, it took only one workout for Toye to be offered a coveted spot on the team by head coach Jimmy Salmon. “His athleticism and ability to shoot wowed us, and since he was a new kid and pretty much a free agent, we wanted to lock him up to keep him from going somewhere else,” Salmon said. Four years later, Toye is a freshman in college. He was named conference Freshman of the Year and first team All-Conference and also led the conference in scoring. He came within seconds of completing an undefeated season and winning a national championship. After just one semester, he decided to go pro and forgo the rest of his college eligibility. If you’re wondering why you’ve never heard of Mason Toye, it’s because he’s a different kind of one-and-done — Toye plays soccer. 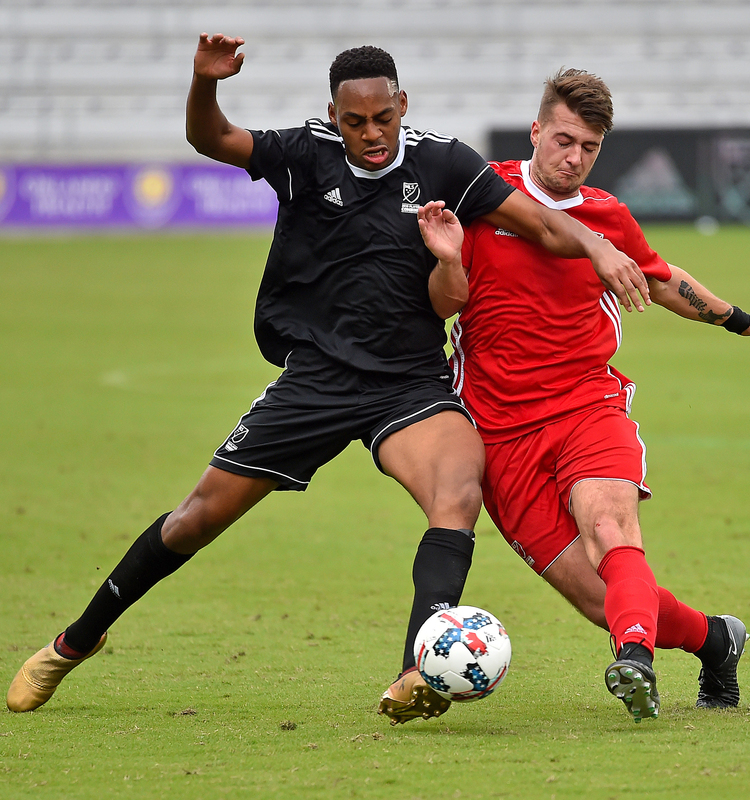 The 6-foot-3, 180-pound forward played for Indiana University, and days after his freshman season ended he was chosen as a member of the Generation Adidas class to enter the Major League Soccer (MLS) SuperDraft scheduled to begin Friday. Generation Adidas is a joint venture between MLS and US Soccer. In order to be eligible for the MLS SuperDraft, you have to either be invited as a college senior to attend the MLS combine, be nominated by an MLS team (for players who no longer have any college eligibility) or be chosen and signed by Generation Adidas to enter the draft early. Toye is the youngest in the class and the only one born in the United States, and thus the only African-American. His mom, Lynne, said she could tell early on that he was a gifted athlete. Toye’s dad, Vince, was an All-ACC Academic fullback and strong safety for the University of Virginia’s football team from 1982-86, but he didn’t push football on young Mason. “I didn’t allow either of my sons to even think about playing football until they were at least 13. I wanted them to develop in other sports and then choose football on their own, not because of some sense of obligation to me because I played,” said Vince. Toye never tried his hand at football. By the time he was in middle school, he was excelling at both basketball and soccer. In the eighth grade, he earned a spot on the New York Red Bulls’ Academy Soccer Team. The following year, he left that team to concentrate exclusively on basketball with the Playaz Basketball Club. When he returned to high school in the fall as a sophomore, he was working out in the gym one afternoon when a couple of his former soccer teammates approached him and persuaded him to come with them to the soccer field. Still clad in his basketball gear, high-top sneakers and all, Toye stepped onto the pitch and began kicking the ball around. “I realized I had a passion for basketball, but I really loved soccer,” said Toye. In December of his sophomore year in 2014, he decided to drop basketball to concentrate on soccer. Since then he has enjoyed many opportunities and has had success on the pitch, including the chance to play and train abroad with Sporting Lisbon in Portugal and Hannover 96 in Germany. He was heavily recruited by many universities and committed to Indiana as a sophomore. As a senior, he was a high school All-American and was named Gatorade New Jersey State Player of the Year. His freshman year at Indiana ended in heartbreak last month when his team lost 1-0 to Stanford in overtime at the NCAA soccer championship, the College Cup. It was their only loss of the season (they had six ties.) His despair quickly turned to jubilation when he was chosen as a member of Generation Adidas. 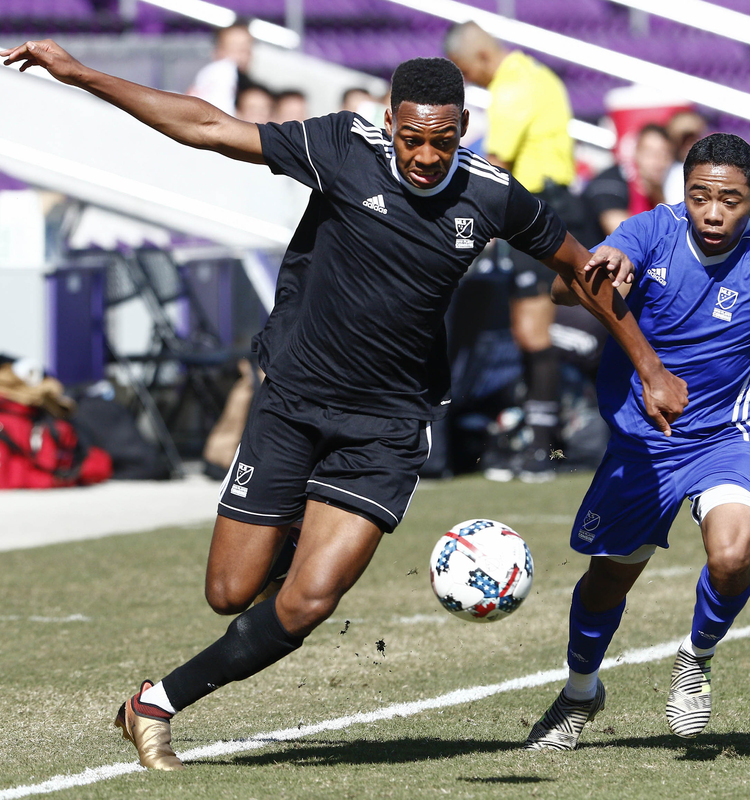 One-and-done players from college into MLS are rare and must be chosen by Generation Adidas. Many of these young athletes simply can’t pass up such an opportunity, even if they may not be “ready,” much like young basketball players who voluntarily leave college after one year. Toye’s college coach Todd Yeagley is rooting for him and feels like he is up to the challenge. “You can never say 100 percent that someone is ready. Mason has a tremendous upside, but because he’s so young teams will have to be patient. He did a great job with us acclimating to whatever challenge we put before him. He was hungry and coachable, and that will help him at the next level,” said Yeagley. But his immediate focus is on the MLS combine and the SuperDraft. With things moving at a lightning pace, Toye is trying his best to take it all in stride. 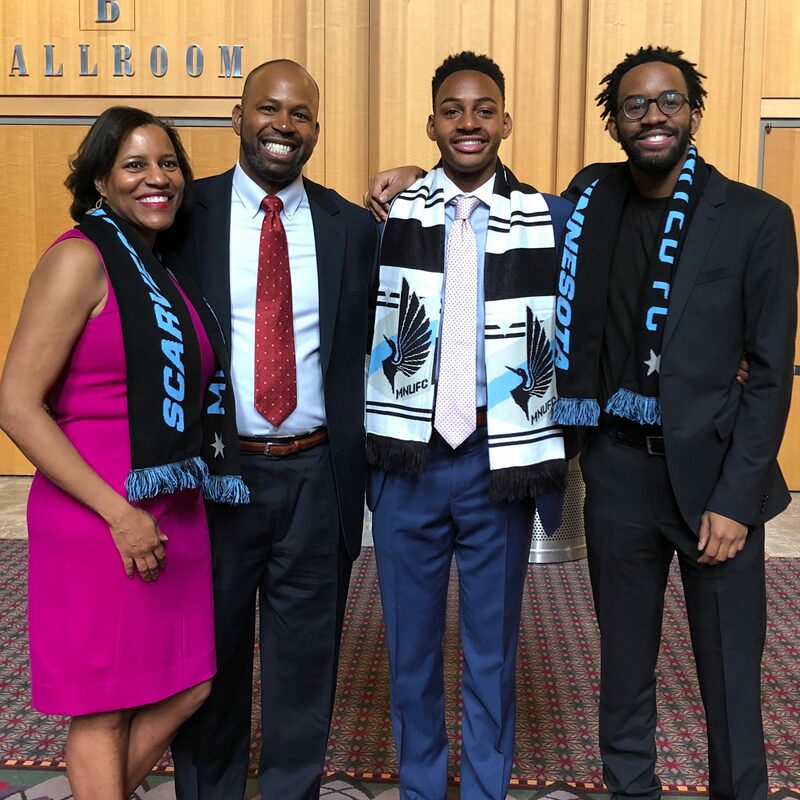 He welcomes both the opportunity and the responsibility of being a role model to help young African-Americans see soccer as a viable path to a professional sports career. He also realizes that he is not the first and that there are others who helped pave the path for him, but even then it’s an uphill battle for many black kids. On Friday, all of his questions from freshman year were finally answered. The only difference is that instead of Adam Silver, Mason heard his name being called from the podium by MLS commissioner Don Garber. He was chosen seventh overall by Minnesota United FC. Toye reaped the benefits of being able to play both. In this case, maybe basketball’s loss could be the beginning of helping to put American men’s soccer back on the map.